Please take a moment and browse through the case studies and see what R&P Access have done to exactly meet client needs. Alternative access solutions would have been far slower and more expensive. R&P Access provided a quick and efficient way to install and repair glazing at Leicester University. 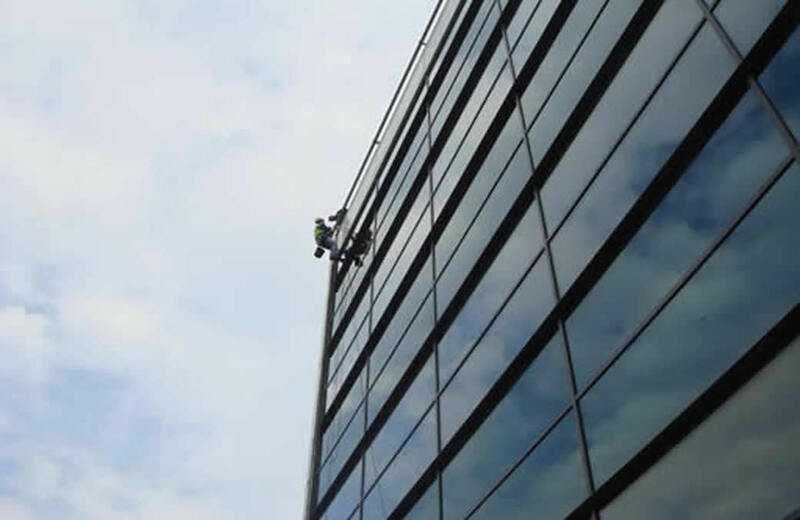 Rope access provided a cost effective and safe way of installing and maintaining large glazing units at great heights. With anchorage points already in place, R&P Access are always on hand for maintenance and repairs. R&P Access are happy to offer a FREE consultation and feasibility study for you. Call 01934 834435 or email R&P Access for a cost effective and professional solution. 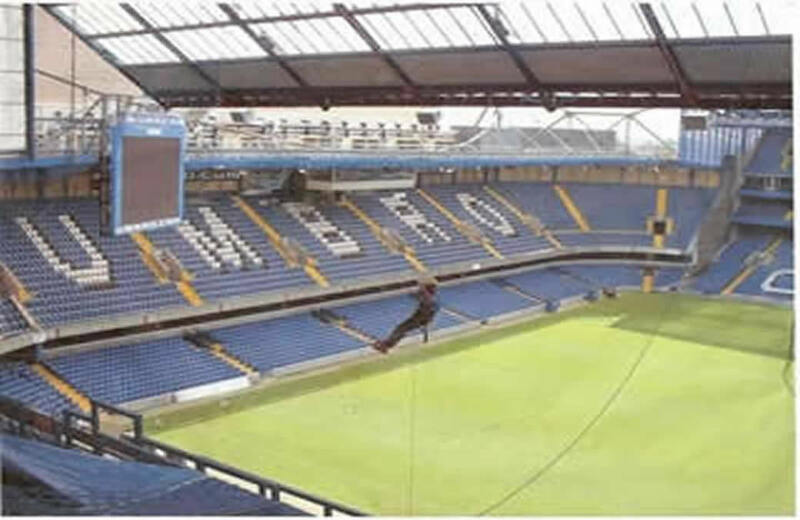 R&P Access provided a quick and efficient way to position workers and equipment during inspection and build work at Stamford Bridge in London. Instead of using an expensive scaffolding system, R&P Access were able to conduct high rise structural work. 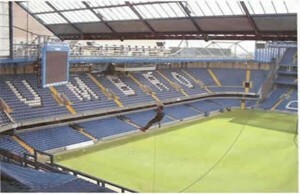 Similar projects have been completed at the new Wembley Stadium and Millenium Stadium in Cardiff. R&P Access provided a quick and efficient way to position workers and equipment during inspection and repair work on sections of the Clifton Suspension Bridge in Bristol. 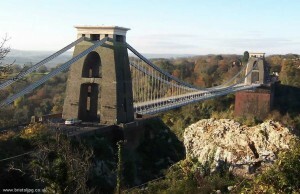 Instead of using an expensive and complicated scaffolding system, R&P Access were able to access any area of the bridge quickly using rope access. Once in position they were able to survey remove and repair damage to the structure.